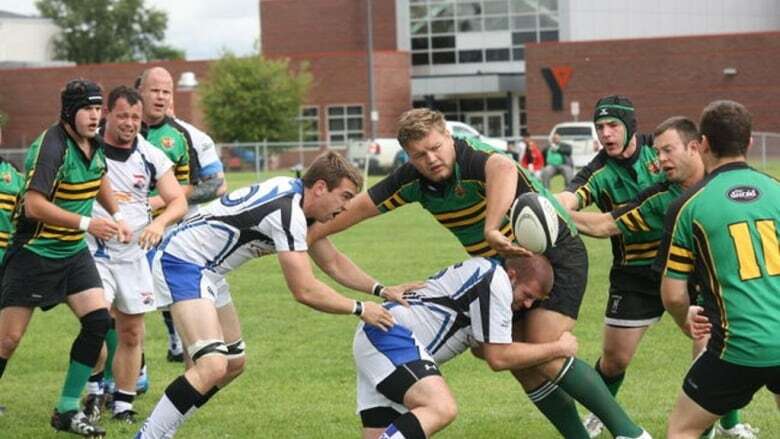 The Edmonton Rugby Union has instituted new policy against referee abuse over concerns that a culture of heckling and hooliganism is festering on sidelines. Rugby is often referred to as a gentleman's game but coaches and spectators are increasingly forgetting their manners on the field, prompting the sport's local governing body to bring in a new policy to protect its referees. There is a growing concern that a culture of heckling and harassment is festering on sidelines. "Among a lot of people, they feel there is a growing hockey culture, that parents and coaches feel like they can get away with more than they could in the past," said Robin Kaluzniak, a veteran player, referee and development officer for the Edmonton Rugby Union, which acts as a governing body for teams across northern Alberta. "We really put this policy out to say that this culture change is not going to be acceptable and we want to keep up the reputation we've always had." Kaluzniak said the organization decided to draft the policy after a young referee got so much harassment from the sidelines during a recent game that he was reduced to tears. Referee abuse has become ubiquitous in recent years, Kaluzniak said, and it's often the people in the stands that are behaving badly. Some amateur referees are getting fed up with the abuse heaped on them during games. "It's little complaints from the sidelines, the whole 'referees are blind' type of comments," Kaluzniak said. "It's mainly parents at junior games. To be quite honest, it's where the issue lies. Once you get into the senior games where people are used to rugby culture, it's not nearly as bad." According to the policy document posted July 24 online by the Edmonton Rugby Union and the Edmonton Rugby Union Referees' Society, it has become "all too for common" for referees to become the targets of verbal abuse. "In spite of frequent and clear messaging that referees, like players, are human and apt to make mistakes on occasion, the message is not getting through to participants," reads the policy document. In the document, rugby officials said "the seed of more serious abuse" in the stands often starts with a coach bullying and trying to influence the referee. "Despite the fact that none of the coaches in the Edmonton Rugby Union (ERU) are accredited World Rugby referee coaches, several feel they have license to offer advice and criticism to the match officials," the document said. "This is not welcome and will not be tolerated. Inevitably it leads to players and spectators offering their comments." In light of the apparent increase in unsportsmanlike behaviour, the organization has introduced a series of new fines and procedures for dealing with troublesome spectators and coaches. A first incident will be met with a warning. If there is a second incident, the abusive person will be asked to maintain a distance of 400 metres from the field. If a coach or spectator is ejected, a disciplinary committee will be convened and the incident investigated. The offending club will be required to post a $1,000 "Behaviour Bond" for the balance of the season and the coach will be required to provide a written apology to the referee. Any further ejections will result in additional fines ranging from $200 up to $500 per infraction. The sanctions are aimed specifically at abusive coaches and spectators but volunteers, staff and board members are also subject to the new policy. Kaluzniak said he's never had to eject a coach during his eight years as a ref but he's been concerned about his younger colleagues on the pitch. If the organization fails to curb the bullying, they will continue to lose referees and the game's reputation as an inclusive sport will suffer. "We're worried about our junior referees who aren't as experienced," Kaluzniak said. "We want to be able to protect them." "Rugby is all about inclusivity. That's one of our really core values and respect for the referees, respect for other players is really key to us."